Now, we have Nikon Coolpix S33. 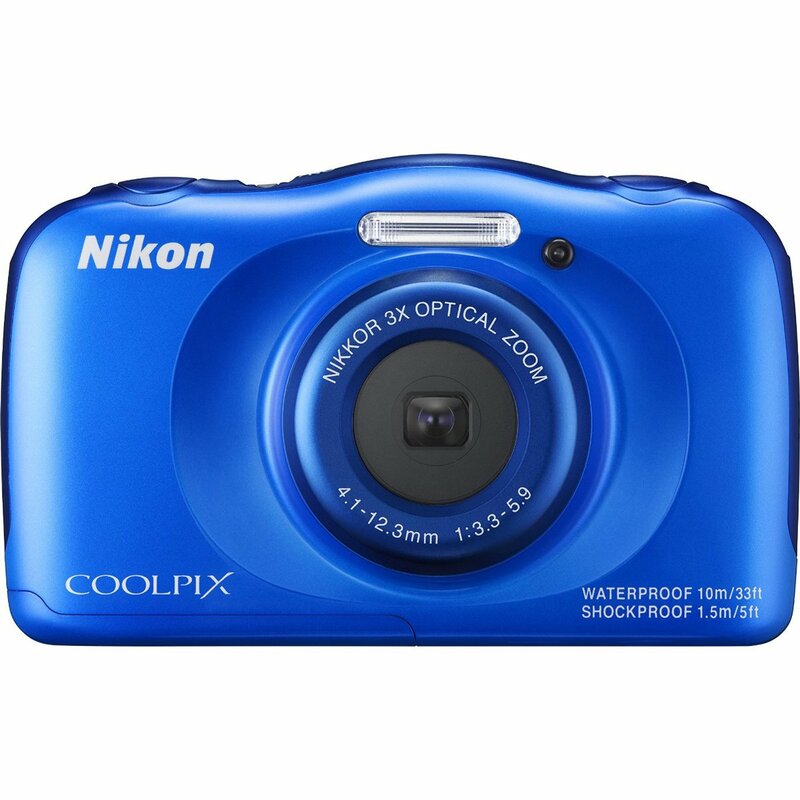 I ordered mine from a local shop last month, used it both underwater and on land and wanted to share my experience with you guys by writing a Nikon Coolpix S33 review. First, I want to talk about the differences/upgrades of the two models; Nikon Coolpix S32 and Nikon Coolpix S33. Well, first of all, I loved idea of having different colors, not only white in Nikon Coolpix S33. Its father was only white. Both models seem to be pretty much the same. There are few differences among these two models. Nikon Coolpix S33 has Targeting AF system, which is an upgrade of focusing system. Other remarkable change is about the charging time. Nikon has upgraded the battery charger. In the previous model, camera was fully-charging in almost 2,5 hours. This time reduced to approx. 1,5 hours, so we have a 1-hour shortage, which can be counted as a pretty good upgrade. On the other hand, battery (700mAh Li-ion) life is still the same. You can take like 220-230 still images with a fully-charged battery. Let’s take a look at the pros that might help you make your purchasing decision. Pros listed below are my personal thoughts as a result of my trials with this camera. It may change from user to user. e PHOTOzine published a good sample video taken with Nikon Coolpix 33 below. For sure there are some cons of this camera just like every product have. Now let’s look at the points you may want to check before you buy a Nikon Coolpix S33. LCD screen resolution is quite low. There is no perfect product for every one of us on the world. If a product fulfills your need, then this is a perfect product for you. We have dozens of cameras, which are also waterproof like SeaLife Micro HD, we have really good 4K @ 60 fps GoPro Hero 6 and tons of other cameras on the market. I use them all, at least try them to be able to write an honest and objective review for you guys. 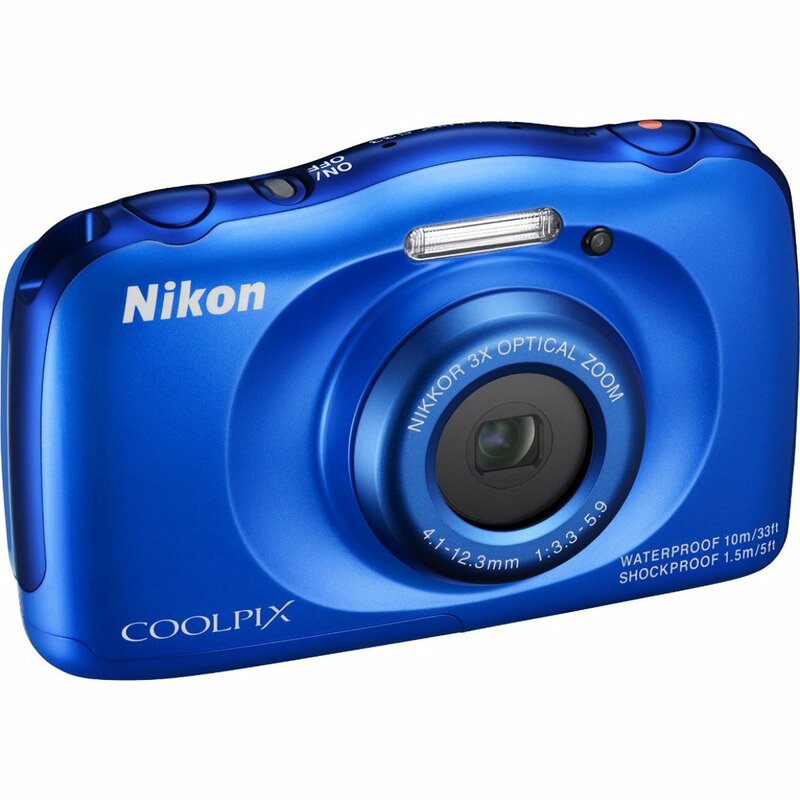 So, the question is, who should buy a Nikon Coolpix S33 and who shouldn’t. Let me tell you my opinion, as an underwater photographer and camera enthusiast. As far as I have used Nikon Coolpix S33, I have realized that this product is good for a family holiday. This is an easy-to-use camera, even letting the toddlers to use it. Shockproof even it fells from 1.5 meters (an 11-year-old-child). Waterproof up to 10 meters/33 feet. So, you can really have fun underwater with your family! Imagine you are sunbathing on a sunbed, drinking your cold juice in a very hot day and your kids are having fun in the swimming pool, taking photos, videos, selfies both on the surface and underwater. A really good “memory-taker” for you and your lovely family. Or, if you want to become an underwater photographer/videographer in the future, that’s a cool start. Don’t expect a performance from Nikon Coolpix S33 other than that. 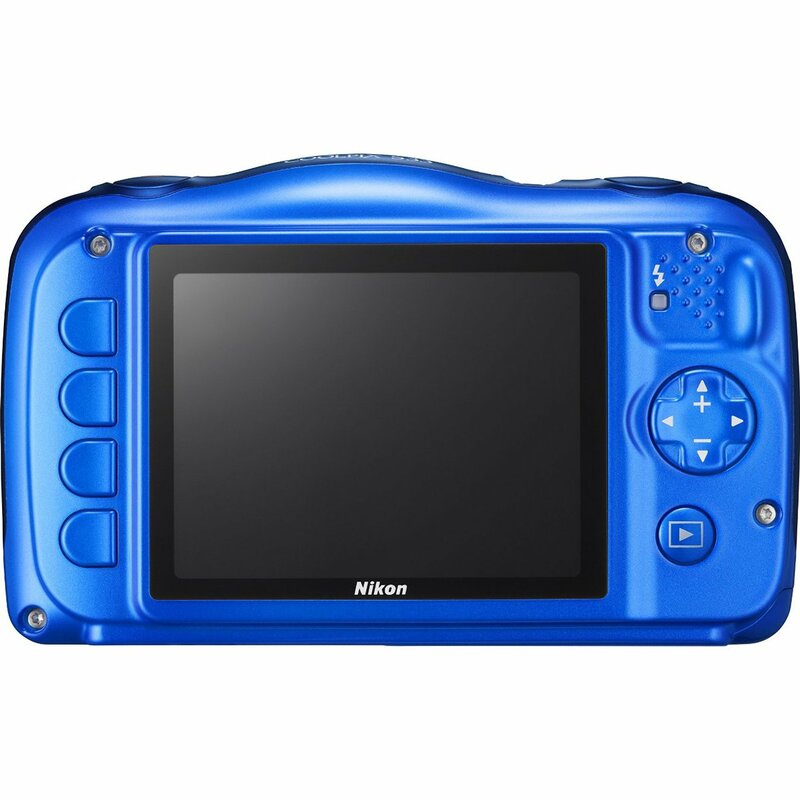 So, the next question is, who shouldn’t buy a Nikon Coolpix S33? If you are an intermediate-level underwater photographer/videographer, don’t waste your money and time with this camera. You cannot improve yourself with Nikon Coolpix S33. Consider purchasing a better fully-sealed camera way better that this one, like SeaLife Micro HD (read: SeaLife Micro HD Review). If you want to shoot a video of something unique, like a wreck dive, a jump from a high waterfall, want to use slow-motion-like features and have high quality, high resolution videos and photos, Nikon Coolpix S33 is not for you either. What you need is an action-cam like GoPro (click here to read reviews of all GoPros available). 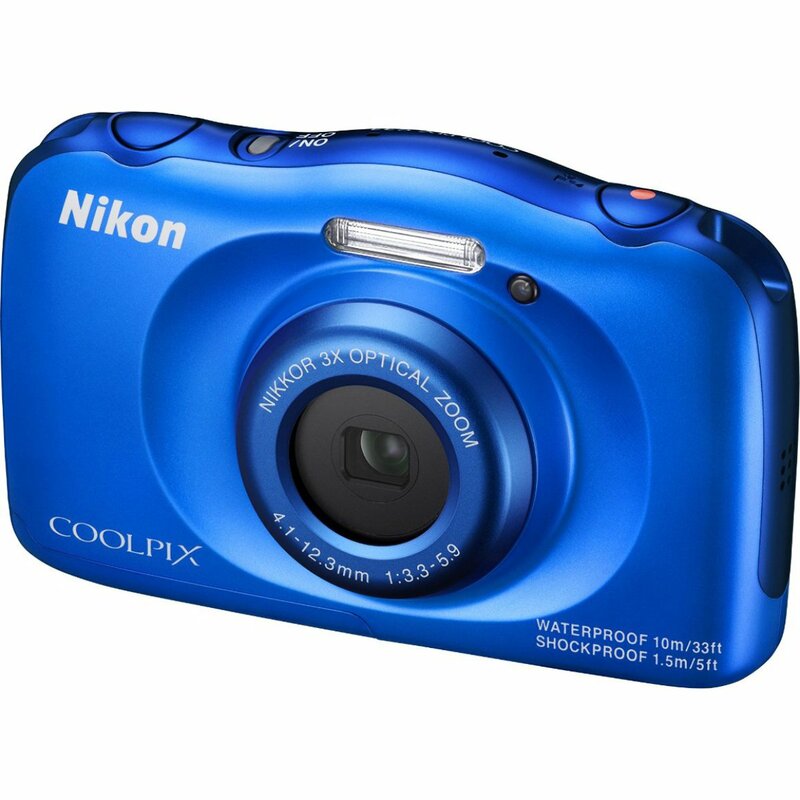 I wanted to give you an idea about this camera by my Nikon Coolpix S33 review. I hope you enjoyed it and I was able to help you in your decision-making process. If you have any questions in mind or a comment about this product, please feel free to use the comment section below. Hello, thank you for this very useful review. I am a happy user of Coolpix S33 and so far it was meeting my needs. However, I have a question. Being a snorkeling beginner, I found a full-face mask which I like and which has an option of mounting camera on top. Just like this one: http://allegro.pl/show_item.php?item=6925360400 Nothing special, but I like the idea of full-face and no pipe on the side. Now, Coolpix S33 having a space for mounting a little tripod, can it be mounted on this mask and how? Adapter? Or, would you recommend another camera for this kind of use? I would appreciate any advice. you might have for me. Thank you and kind regards. Thanks for being here and your question. Actually, I don’t suggest to use any u/w cameras that are attached to headsets. That’s because I have lost dozens of u/w cameras without even realizing that I have lost’em before surfacing. But if you still need one for this purpose, I advise you to purchase a GoPro instead (action-cams are better for this purpose) and attach it to the product you have shared. Take care and remember to visit again soon.